Have you ever caught up on work emails from home, maybe with a glass of wine? Or finished that important presentation late at night on your laptop…from bed? Well, you’re not alone. According to the American Psychological Association, more than 50 percent of employed Americans check work messages before or after work, over the weekend, and even when home sick. This “never truly off” mentality is a strong driver for the growing trend in “resimercial workspaces,” where businesses want to make their employees feel more at home while at the workplace. The lines between work and home life are increasingly blurred, so why should the spaces in which we operate be any different? More and more, your corporate customers are realizing the benefits of an alternative workspace that contains dynamic elements. Bringing aspects of home to work took off in the tech startup world, but has recently gained popularity in more established industries as well. The hybrid office layout that combines private offices, cubicle banks, open floorplans, and soundproof spaces is proving to be a big winner. In addition, entire neighborhoods or areas are now combining business and residential buildings into resimercial spaces for a more all-encompassing live-work lifestyle. As architects and designers work on corporate spaces, they are increasingly paying more attention to how people actually work, especially in a hybrid office. Allsteel’s Workplace Advisory explored our new ways of working in its “Collaboration | Next” paper. The wide array of how we actually collaborate points directly to the limitations the traditional workspace imposes on its workforce. Each of these methods of collaboration would be best completed in different environments. 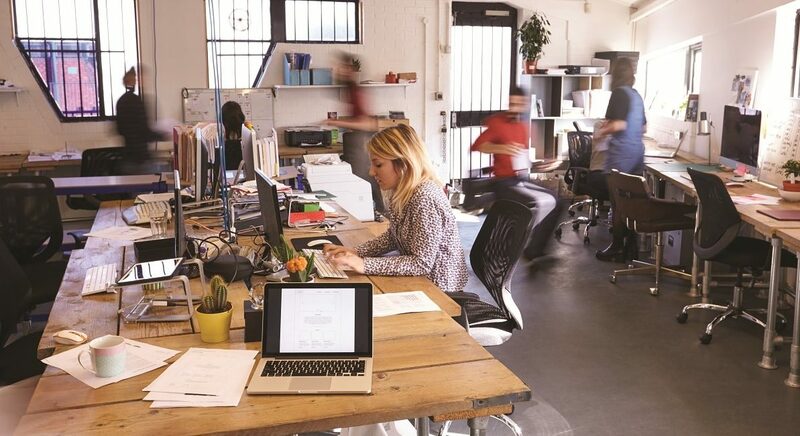 Being aware of these work behaviors is crucial to designing a space that will foster them, ultimately boosting productivity. If workers are given an environment that is conducive to their naturally occurring behaviors, they are likely to be happier there and to stay longer. People crave workspaces that inspire, connect, energize, and excite — they want flexibility within the workplace. The Harvard Business Review recently cited a study on businesses embracing this new culture of resimercial spaces. While the S&P 500 grew by 75 percent from 2003 to 2013, the design-centric companies that were studied grew by 299 percent! That’s a pretty clear indication that keeping employees happy and comfortable in their alternative workspace is a worthwhile investment. It is not only workplaces in which we see the blurring of lines between work and home. You can’t go far in most cities before you see a line of businesses (salons, boutiques, coffee shops, restaurants) underneath stylish apartments or lofts. The kind of convenience this setup provides is very appealing to residents in our “everything at our fingertips” society. The pairing of commercial spaces with residential ones is gaining a strong foothold in many areas, even suburban settings. The idea that you can roll out of bed and walk right downstairs to grab a cappuccino at the cafe below your apartment is a result of the same blending of environments that we see in the workplace. Especially popular with people who telecommute, these combined spaces create a close community feel with residents who value this type of accessibility. Of course, in order to create successful resimercial spaces in both cases, connectivity is a must. The downstairs cafe needs to have Wi-Fi and charging stations so you can get those emails answered over your morning scone. 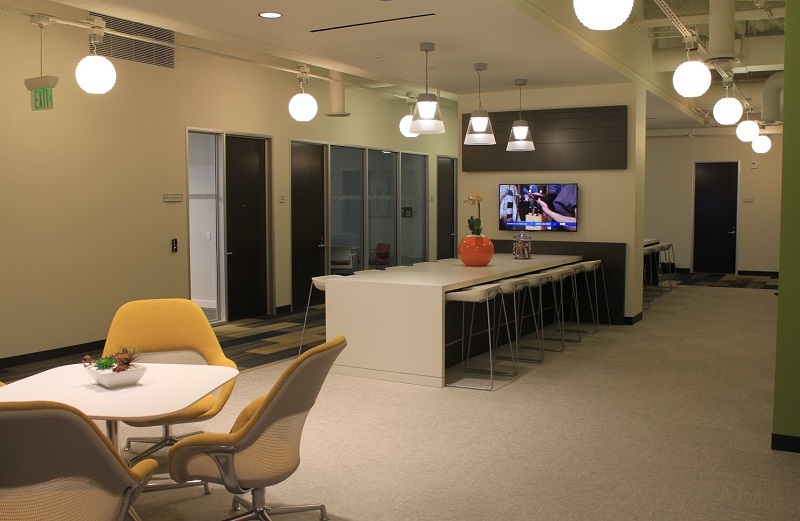 On a larger scale, the hybrid office environment that blends elements of home with work must provide the same access from each space as you would find at a traditional desk, or conference room. 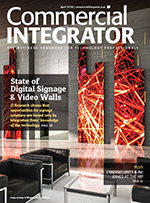 This is where enhanced AV and display technologies come into play. Integrating audiovisual and communication technologies with hybrid office furniture, and designing spaces that can facilitate collaboration with the right technology is crucial for resimercial spaces. Resimercial spaces demand a delicate balance between aesthetics, usability and technology. These aren’t just generational-dependent trends (i.e. workspaces for millenials). 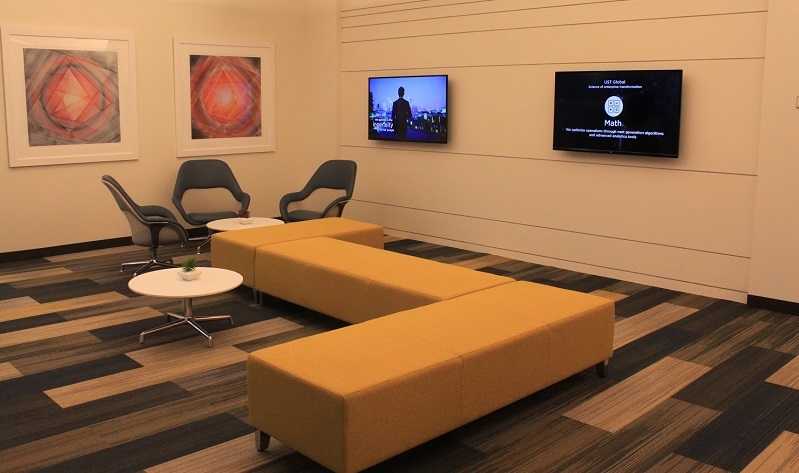 Forward-thinking designers and architects are already on the path toward resimercial, and they are enlisting our AV technology to provide cohesion in combined work-life spaces.